Welcome to Richard's School of the Dance! Proudly serving the Fox Valley and celebrating 70 years of Dance Education. With our long history of success, we can proudly say, "The Well Trained Students of Today are the Stars of Tomorrow!" 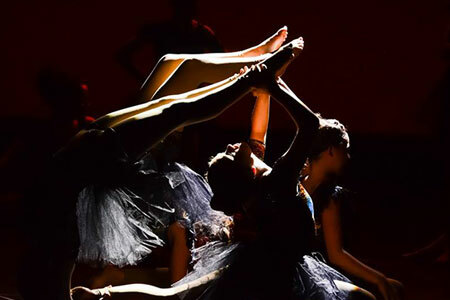 Richard's offers quality dance education in many dance disciplines for all ages, now at two locations! Join us at the Oshkosh studio or the Kohler studio and get in on all the fun Richard's offers. We proudly offer dance, fitness and yoga classes 6 days a week and for every age and skill level. Our Fitness and Yoga programs run all year long for those who are dedicated to an active, healthy lifestyle. Our Program focuses on five areas of Acrobatics: Flexibility, Strength, Balancing, Limbering, and Tumbling. Our new offering at Richard's School of the Dance! Join today and pick up a thrilling new talent! 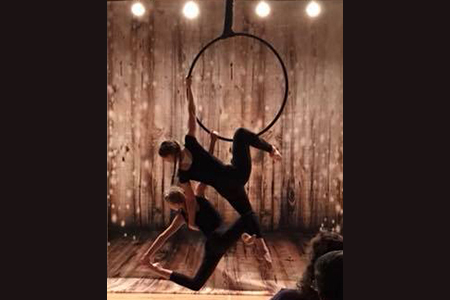 Aerial Silks classes for ages 5 through adults! Come Fly With Us! Richard's School of the Dance is now an Acrobatic Arts certified facility! 3New classes available in Kohler! Including Hip Hop, Boys Only Class, and AcroDance.